← Loan Modification Help After HAMP: 6 Tips to Stop Foreclosure in 2017. Loan Modification Programs in 2019? Who would have ever thought it? When we began helping homeowners more than a decade ago, we thought the mission would last a few years. 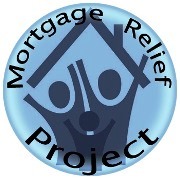 A decade later, we still receive inquiries from people struggling with their mortgage. So, where are we now that HAMP (Home Affordable Modification Program) has expired? Are there still loan modification programs available to homeowners? Yes, there are still many programs available in 2019, but the landscape has changed. The mortgage crisis was complicated when it began. The real estate bubble of the mid 2000’s had popped. The stock market was down, and unemployment was rising. Add in some high-risk, subprime loans, and we had a genuine mortgage crisis. As an increasing number of homeowners fell behind, loan modification programs like Obama’s, Home Affordable Modification Program (HAMP) were born. HAMP was the flagship of loan modification programs and ended in 2017. It created a blueprint from which many banks developed their own loan modification programs. These programs provided solutions for homeowners who were not qualified for the government programs, as they typically had less stringent guidelines. In addition, there are still a few government programs for specific borrowers. The bank proprietary programs are the programs still available to homeowners today. For better or worse, the application turn around time is typically much shorter now. Previously, applications had to first be considered for HAMP. These days, homeowners usually have an answer within the first two months. Unfortunately, while the woes of the mortgage crisis have subsided, many Americans are still living without any savings. When those homeowners experience a genuine hardship, it quickly becomes difficult to pay their mortgage. In those cases, recent trends suggests that banks are willing to offer a fresh start to a homeowner that can prove their mortgage is affordable for them going forward. In other words, it boils down to affordability. Once you have defaulted on a standard mortgage, the lender has the right to declare the note in default. They may move aggressively if they have good reason to want the property. The HAMP program offered a homeowner certain protections during the application process. Without those protections, it is important that you hire a foreclosure defense or loss mitigation attorney. There are laws designed to protect homeowners, and an attorney with lengthy foreclosure defense experience is in the best position to get you the best possible outcome. These days, you can find experienced, reputable attorneys offer very affordable services. It is well worth the cost when we are talking about something as important as your home!